For now, the fall of 2017, the area looks denuded, but our goal is to restore this section with native plants that support birds, insects and wildlife with which they co-evolved. We also hope that some native plants will return. We know that the bare area may be visually disturbing, but we hope this project will be successful. Planting natives and keeping invasives out will take hours of volunteer and Park Service effort for a long time. The first photo is of the cleared area. 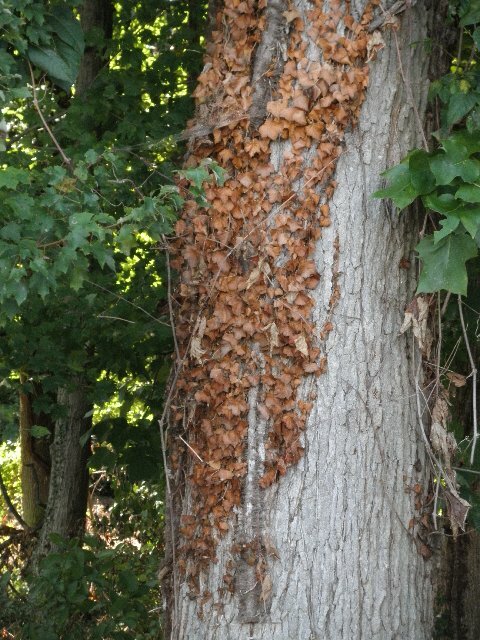 The second is intentionally-killed English ivy on a tree. 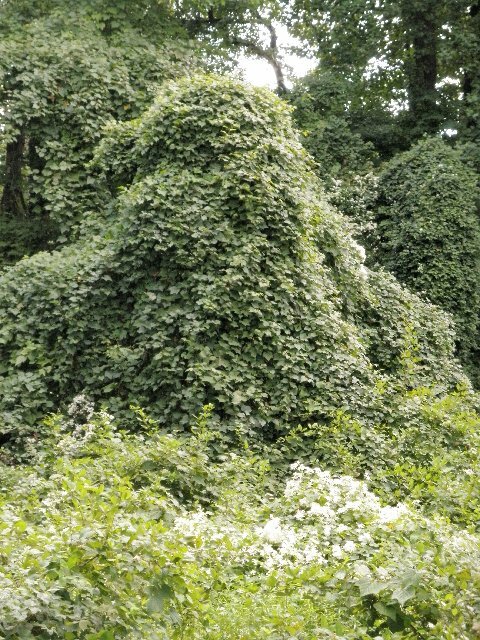 The ivy is one of the target, invasive plants. The third is a photo of porcelainberry vines smothering native plants. Porcelainberry is rampant all along the Haul Road and outcompetes many valuable native plants. We look forward to a restored Dyke Marsh Wildlife Preserve with more ecological integrity, fewer non-native plants and a better visitor experience for all. Photos contributed by Glenda Booth.